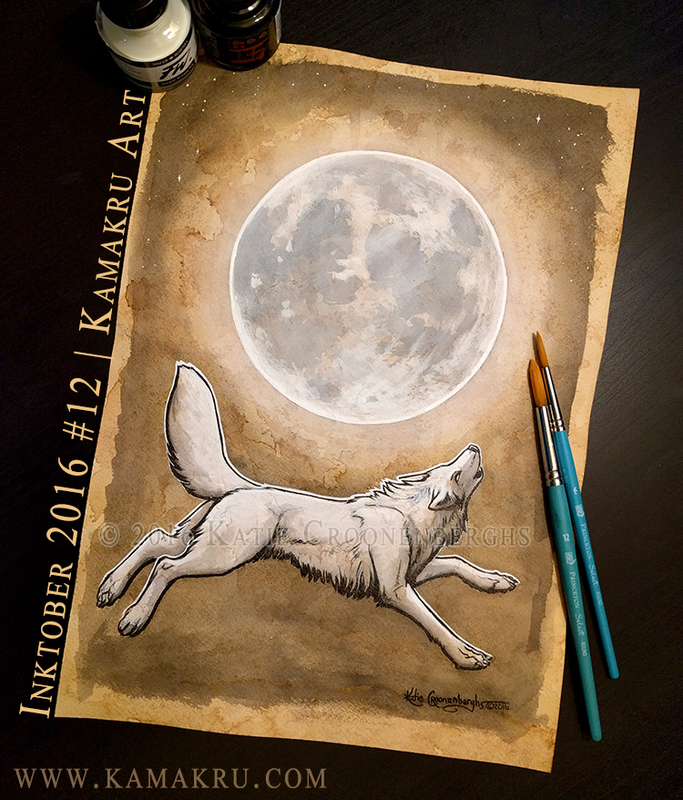 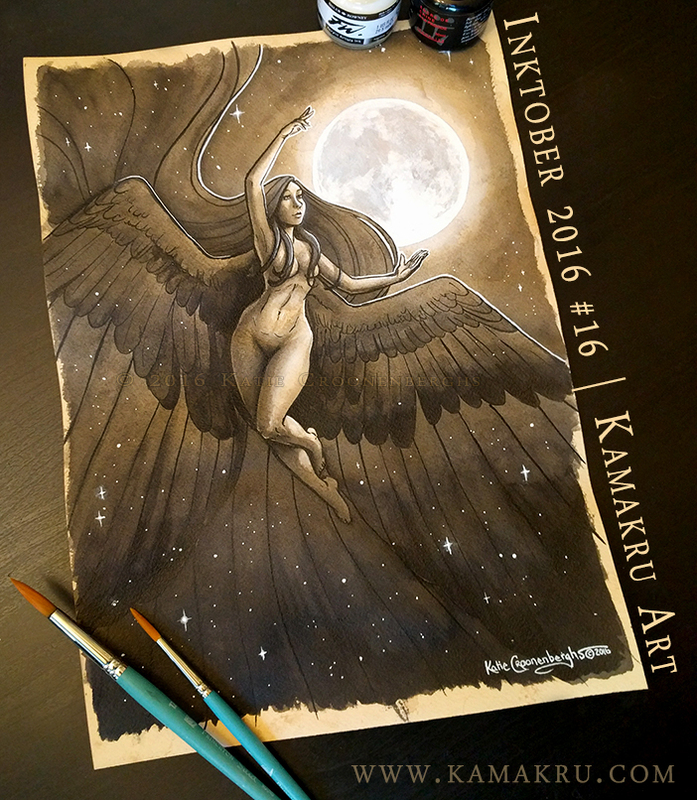 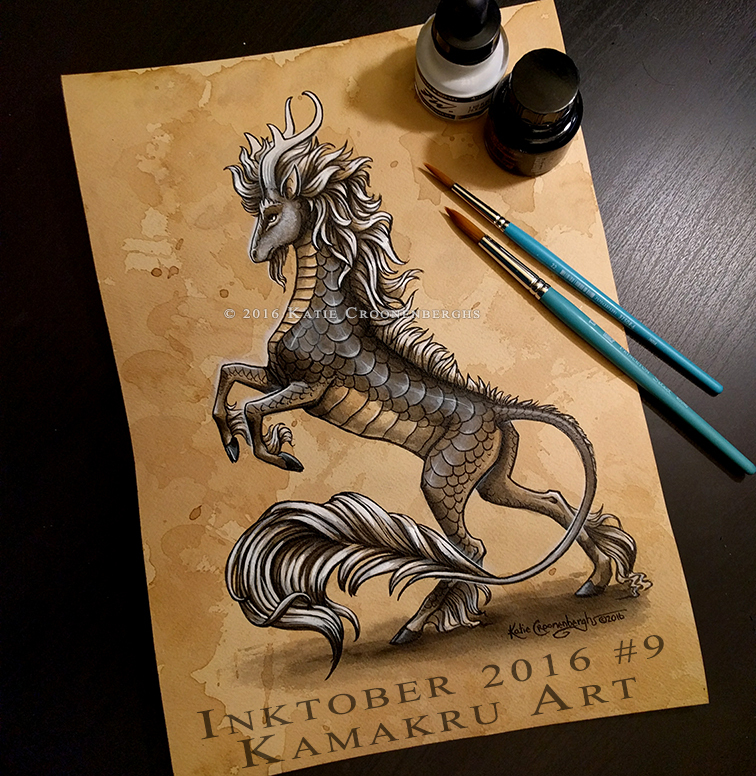 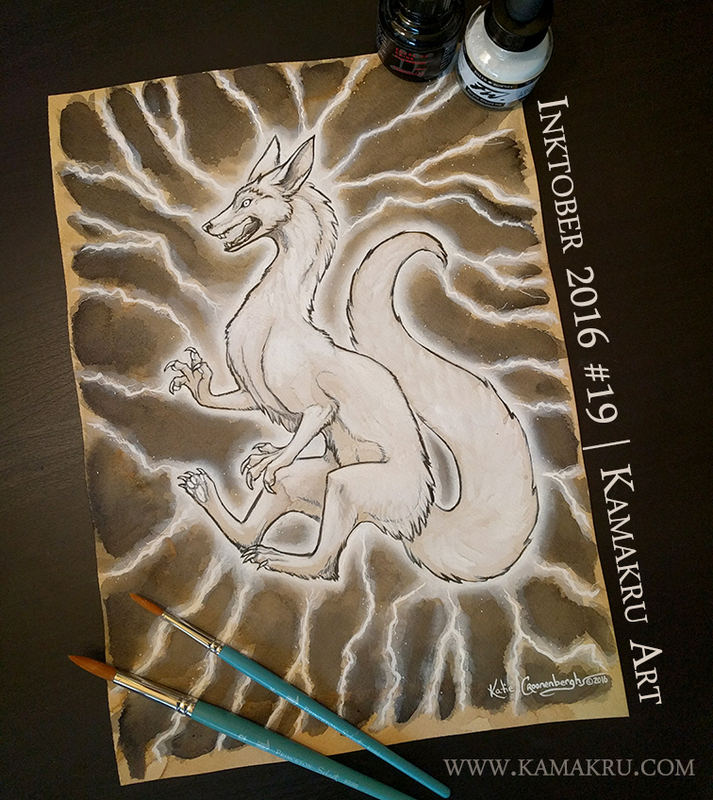 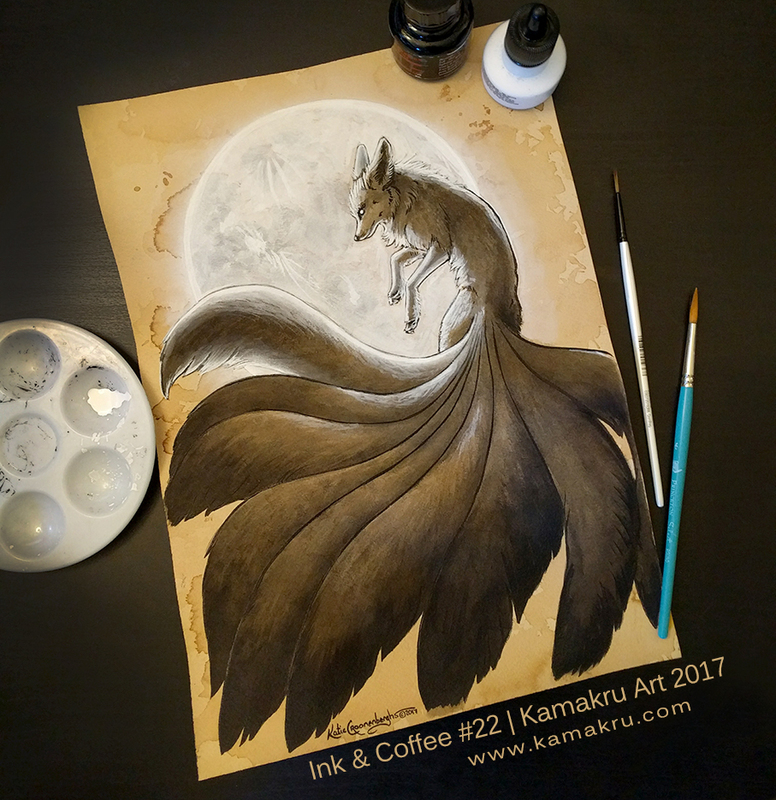 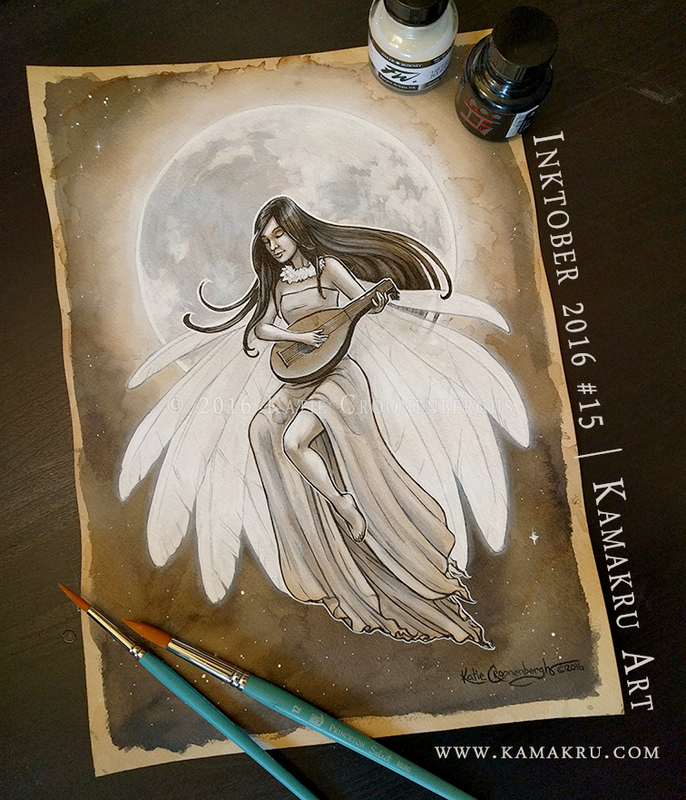 This gallery collects all the inked illustrations that began during Inktober, which continued into a standalone series now affectionately titled "Ink & Coffee" and is still in progress. 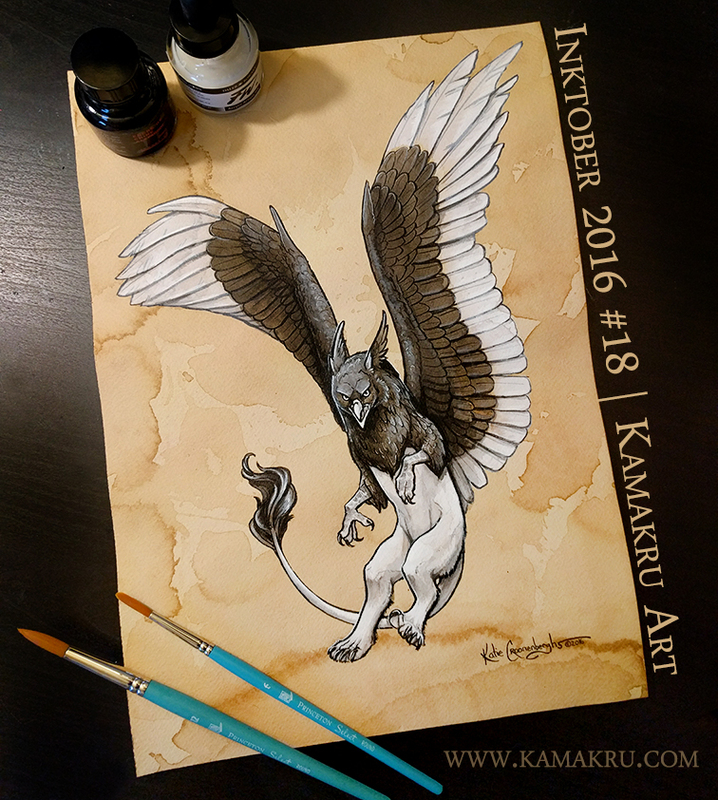 Each piece of 10x14 inch watercolor paper was first hand stained with coffee by the artist (a three day process) and showcases creatures of folklore from all over the world (some a very loose interpretation) and creatures of my own design. 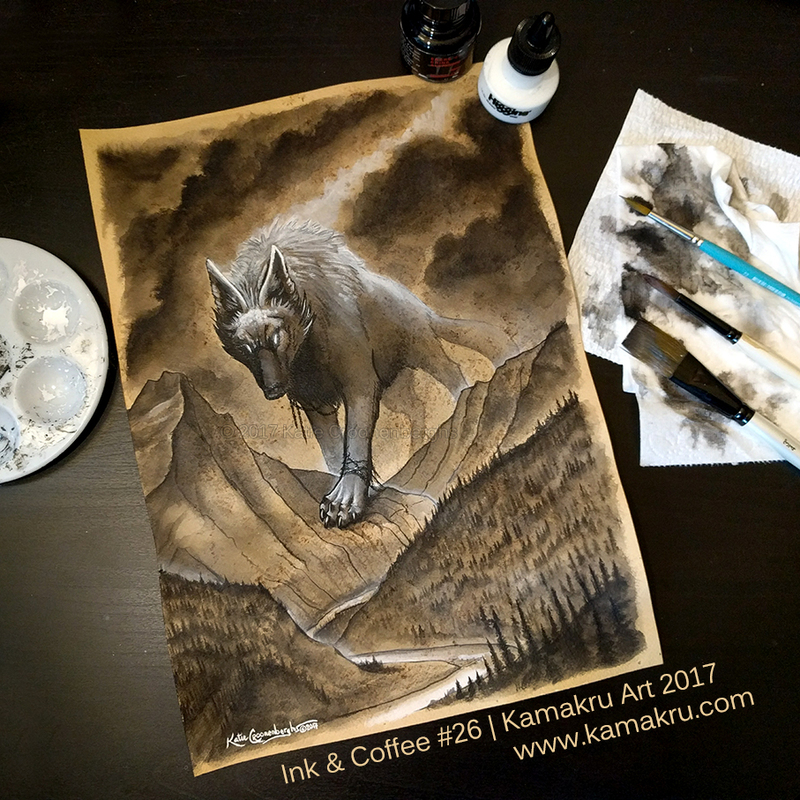 Black Sennelier India Ink was used - an extremely light-fast, pure black and waterproof ink which was then paired with FW white pigmented ink. 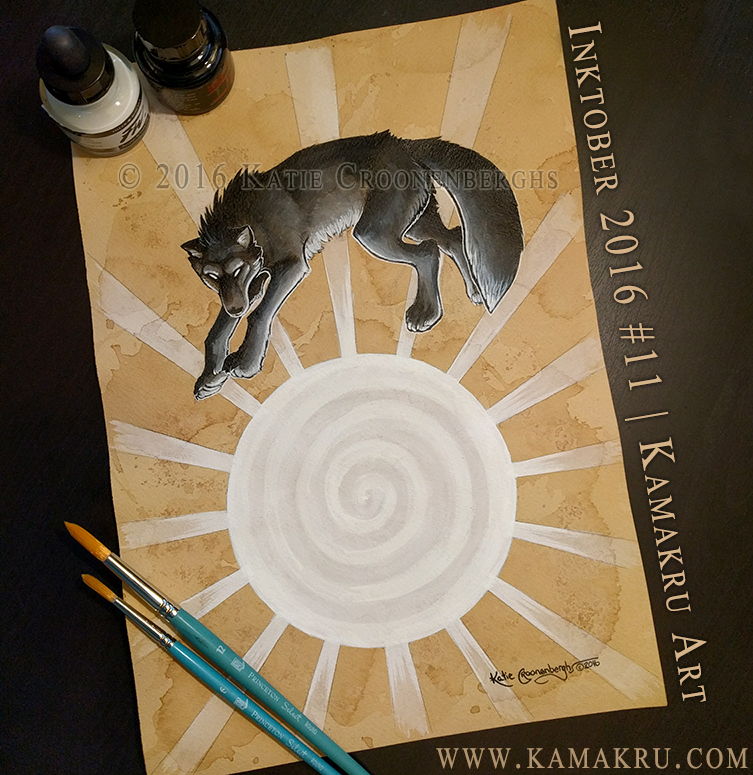 This combination allows for a wide range of tinted washes and affects even with only the use of these two inks. 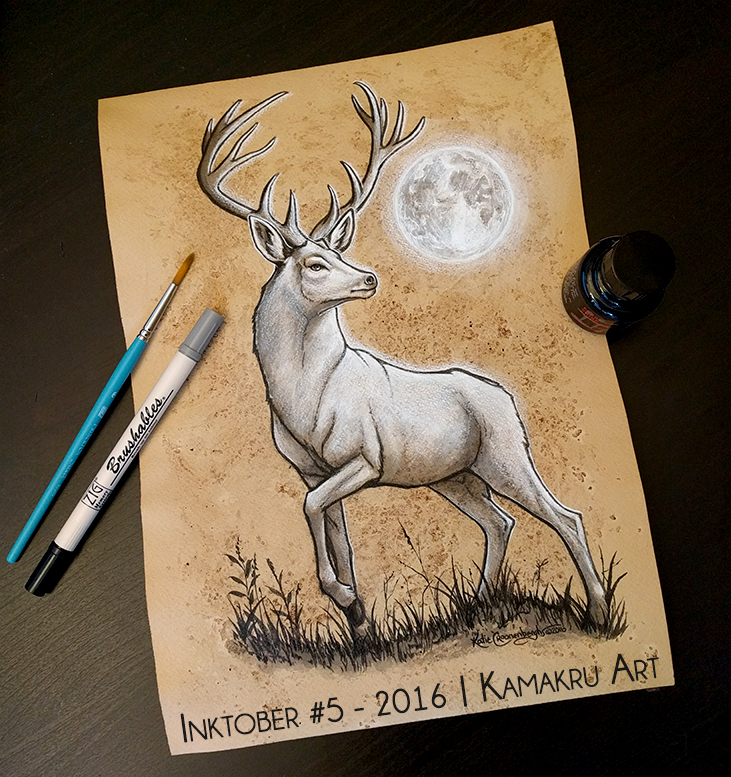 A white Signo Uni-Ball gel pen is used for refined ultra-white details. 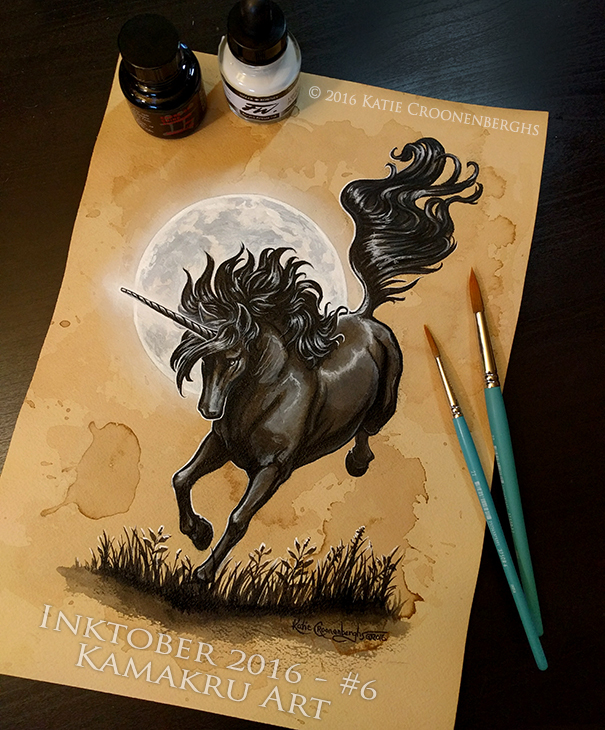 The final book once all illustrations are complete will launch on Kickstarter, date is to be determined. 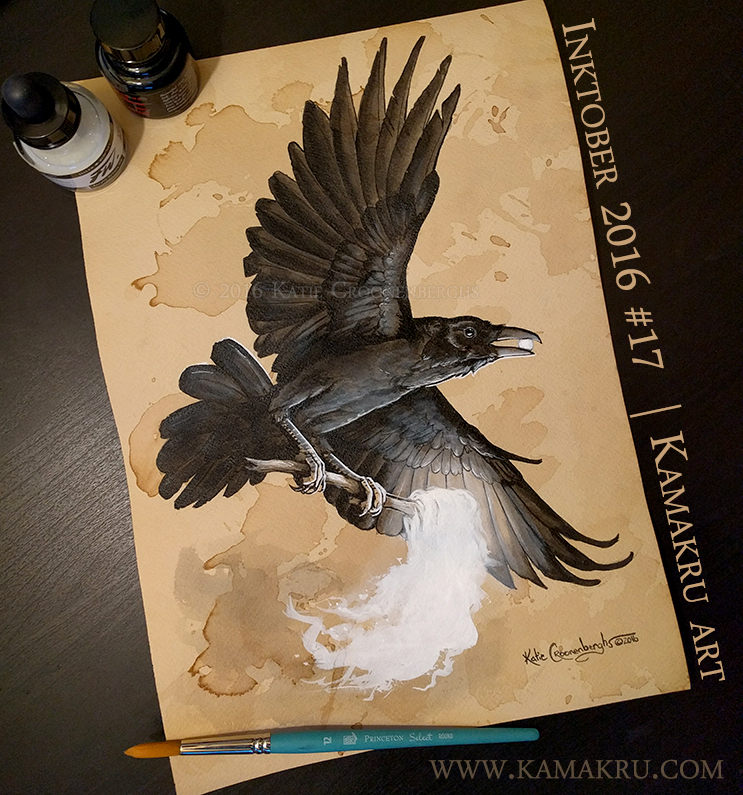 Ink & Coffee #7 - The Black Dog Oschaert"